We continued planting in the rainforest triangle. The triangle is the area formed by the two creek gullys that run into the South Gully. The native raspberries that we have left in place are growing well and will form the ‘Raspberry patch’ within the rainforest area. Our plan is to train them on to a rough trellis, and then be able to harvest the raspberries without too much difficulty or damage to ourselves. 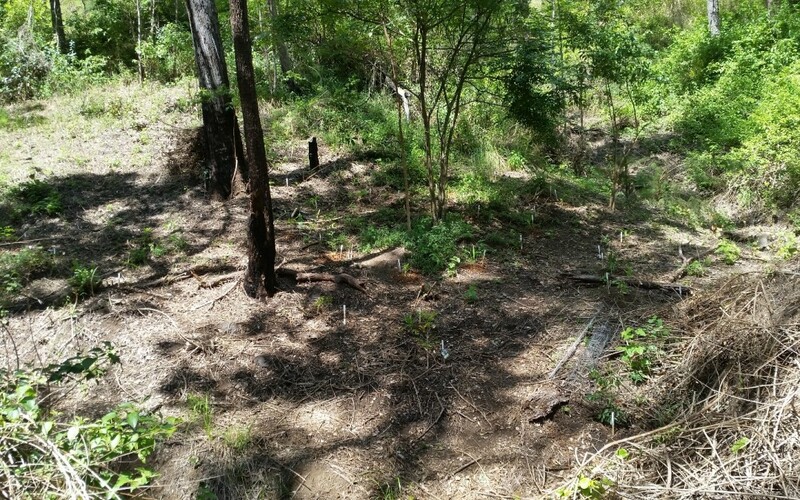 The bush tucker area is alongside one of the paths we have created so that access to the trees is easy. 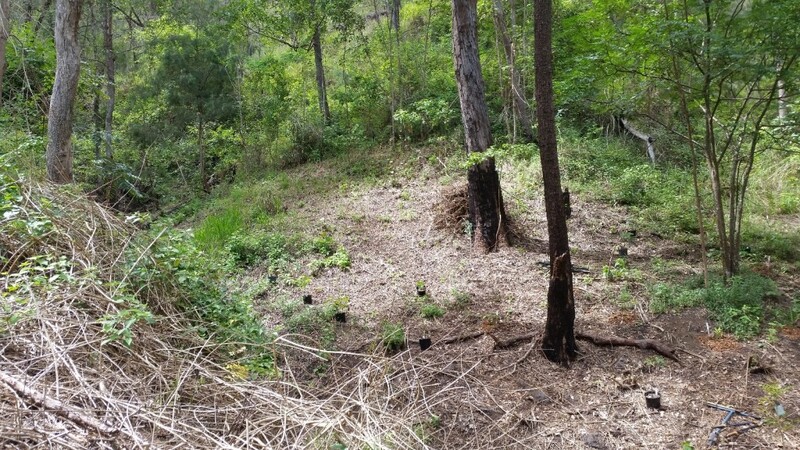 While the South Gully and the Rainforest triangle is looking well planted now, we can see more clearly the sheer number of plants that we are going to have to plant in the remaining open areas.